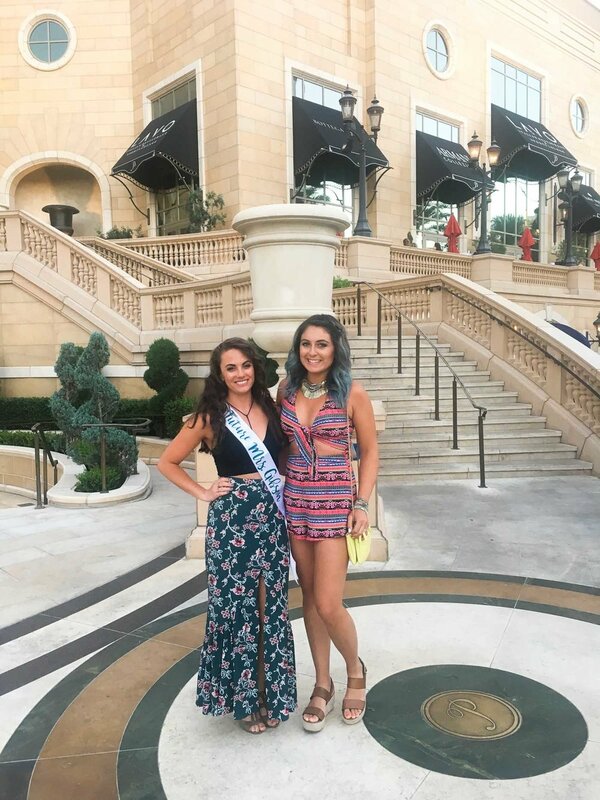 Mid May I went to Las Vegas for my friend Jess's bachelorette party. 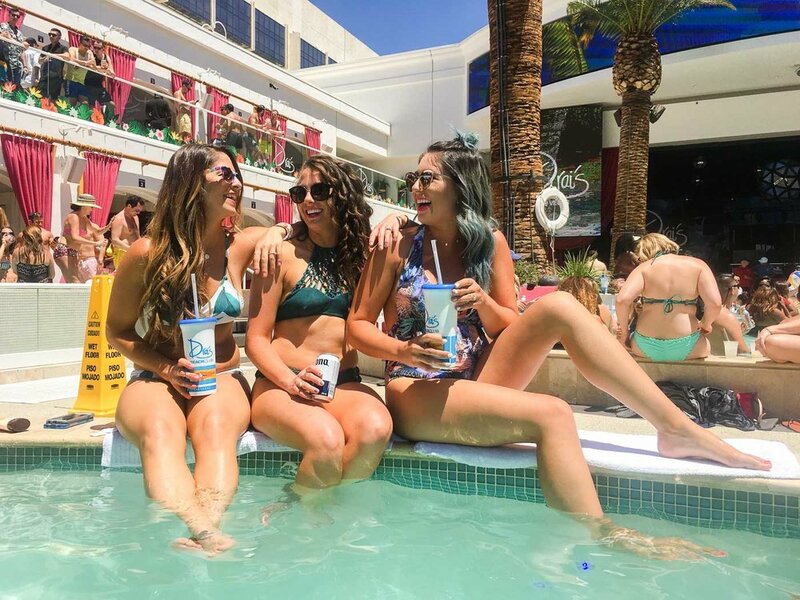 The main things on our to do list were to see Britney Spears and hang out at a day pool party. Picking out outfits for events like this can be tough, and I feel like Vegas has a stereotypical "vegas" outfit that everyone thinks of. I on the other hand, like to think that any cute outfit is acceptable for vegas, and it does not have to be skin tight and stiletto heels don't need to be involved (unless you want them to be). As you know, I love versatile clothes, so I incorporated this idea into my attire for the weekend. I love matching sets, I love Show Me Your Mumu, and I love a cute bathing suit! So when I saw this print was on sale a few months ago, I bought it knowing I'd need a new suit for Vegas. We stayed at the Cosmopolitan, and I highly recommend this hotel. It's clean, beautiful, and they have really nice pools. For Britney Spears, I wore a cut out romper from Show Me Your Mumu that I got on Poshmark. I love that it shows some skin, but because of it's flowy shorts and fun print, it has that boho vibe. And it can totally be worn again as a casual day time outfit. I don't do heels, so I opted for my Steve Madden platforms that are super comfy. I was able to wear them all night long and my feet didn't hurt. To dress the outfit up a little bit, I wore a Free People collar necklace. I've been searching for a cute one piece bathing suit that showed off enough skin, and I wanted an open back and deep v. I found this one on Asos and I love the style of it. It's even cheeky too which is a must! Asos offers free returns, so their is no risk when buying a suit from them because if it doesn't fit, you can easily return it. I also got these new Quay Australia sunglasses from Poshmark to wear to vegas. 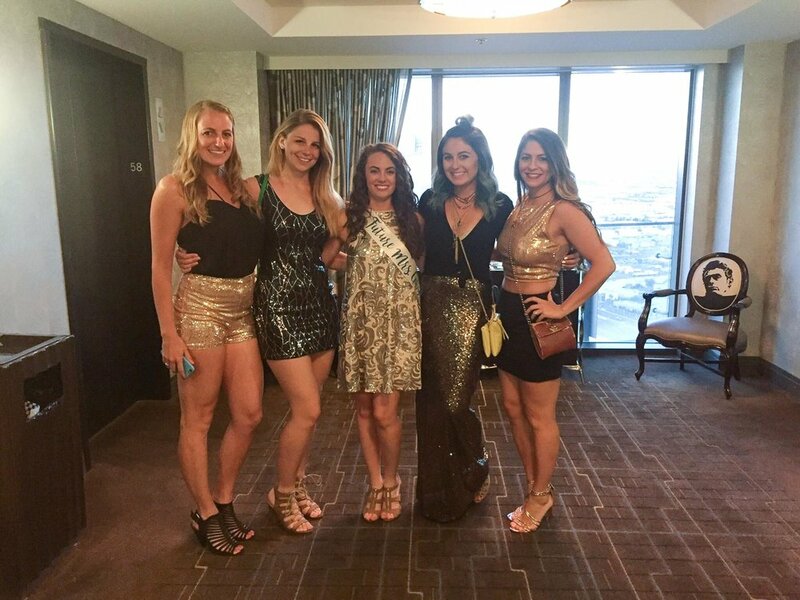 On our last night in Vegas, Jess wanted to do a sequin night. Obviously I was SO down because I love sequins. I borrowed this maxi skirt from my friend and added a black Forever 21 tshirt that I knotted, a lacey bralette and layered necklaces for extra sparkle.